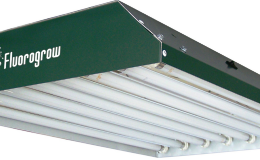 T5 grow light fixtures probably are one of the best grow lights that there are because these lights not only are extremely energy efficient but they also have amazing light payoff providing the plants that are under them with bright and uniform light and of coarse also great cost efficiency because with these lights you will be able to save much more money than you would if you used other grow light for your plants. 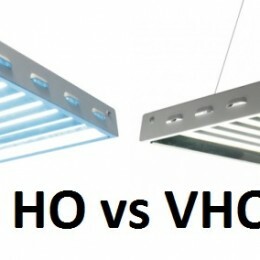 But a grow light fixture needs bulbs and later also replacement bulbs because bulbs are the component that actually produces the light. That’s where these T5 High output grow lights come in because they are one of the best replacement bulbs out there. These bulbs are produced by a company called 247Garden which is mainly bulb and other gardening supply distributor but has teamed up with a few of the best manufacturers to bring their clients the best lights with the best quality, performance and build. This company is based in the Southern California and works to provide its clients with the most innovative products for cheapest prices possible. 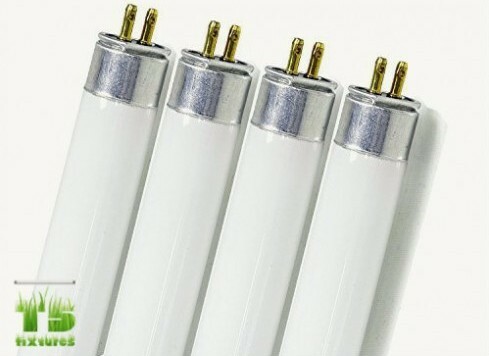 Like any 2 feet long T5 grow light each of these bulbs will chew up only 24 watts making them extremely cost efficient. And when we take into consideration that each of these bulbs are able to give out 2,000 lumen of light that makes these replacement T5 bulbs also very energy efficient. The color temperature of the light that these bulbs produce is 6,500 Kelvins which means that the light will closely resemble the light that can be seen on a sunny day making the bulbs perfect for plants that are in their vegetating stages of their growths. However because this color temperature is close to the color temperature of sunlight these bulbs will also benefit seedlings and cuttings as well as cloning of the plant. And they can even be used as aquarium lighting. These lights are rated to be able to burn for about 20,000 hours. Of course there always are factors that can shorten or prolong the lifetime of bulbs but if you will be careful with them they will almost certainly work longer than 20,000 hours. 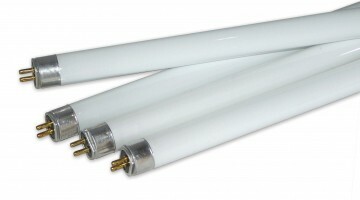 These particular replacement bulbs are meant for any High Output T5 fluorescent grow light fixture that is 2 feet long. 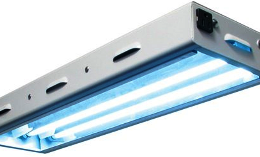 But because this is the one of the two most common size configurations for T5 grow lights then it will be compatible to all fixtures fitting these parameters. 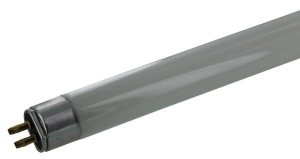 The design of these bulbs is simple – they are white in color with silver colored bindings. 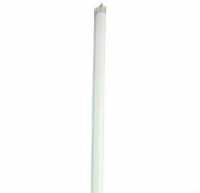 Because they are T5 grow lights their diameter is 5 eights of an inch and they are 2 feet in length.